“There was flames out the roof,” said Upper McKenzie Fire Chief Norm Michaels. 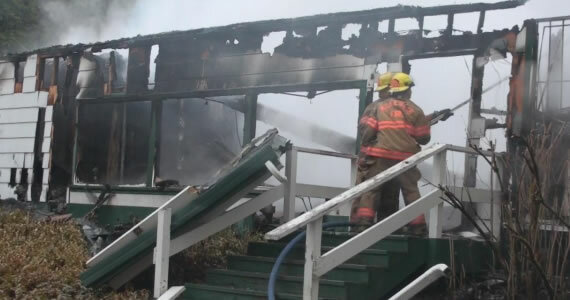 “The fire department has been doing everything they could to keep the fire contained,” said Blue River resident Melanie Stanley. The cause of the fire is still under investigation Fire Fighters did explain that the fire was particularly hard to fight because of the lack of hydrants. Chief Norm Michaels adds that they had to drive 25minutes to refill. 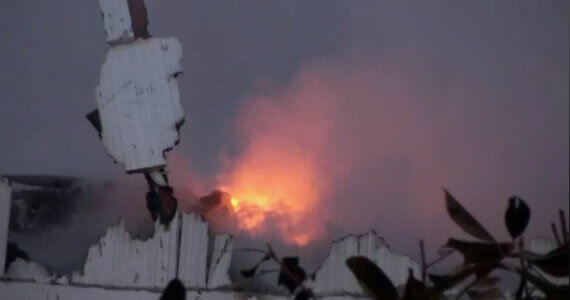 Source: KEZI news has the video of the flames. Forget who Kail is? She was Big Brother 8 week one HOH Winner. She was nominated 3 times then was evicted week 5 when Daniele Donato won the HOH. OMGosh bless her heart. My thoughts and prayers go out the Kail and her family. It’s hard to lose the business.